C4SS News Analyst David D'Amato is a market anarchist lawyer currently completing an LL. M. in commercial law at Suffolk University Law School. On Friday, April 22, Bloomberg reported that Japanese Prime Minister Naoto Kan announced plans for budget supplements targeted at rebuilding in the wake of the earthquake and tsunami. If the economic contentions of statists hold true, costly crises like the one that has ravaged Japan are a boon, an opportunity for the rebuilding process to stir economic activity that wouldn't otherwise have taken place. Instead of an expense of the catastrophe, the almost $50 billion set aside by Japan's state for reconstruction ought to be greeted, we're told, as an economic shot in the arm. 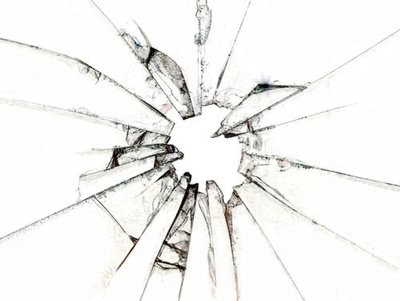 Economists―at least those who don't buy this line of reasoning―call it the "broken window fallacy," an allusion to nineteenth century political economist Frederic Bastiat's famous tale of the "seen" and the "unseen." Bastiat's vignette describes a shop owner whose storefront window is shattered by a rascally son, the result being some unexpected business for the glazier. While that business, the contract for a new window, is the "seen," Bastiat draws our attention to what is "unseen," all of the productive activity that the shop owner could have engaged in but for the cost of replacing his window. Under the "devastation as stimulus" argument, whereby the destruction of valuable resources and infrastructure is (or can be) beneficial, there's no reliable way of determining where to draw the line between economically "good" and "bad" misfortunes. If a cracked window is to be regarded as a spur for productive activity, are we to regard the earthquake damage in Japan in the same way? Or is there a point at which the damage is too extensive to be thought of as advantageous to that indeterminate thing called "the economy"? Properly understood, economic efficiency is a product of a market actor's ability to use resources in a way that avoids waste and maximizes productive output on her costs. Since each individual is actually an "economy" unto herself, allocating time and scarce resources to achieve particular ends, even a comparatively small harm like a broken window can't ever result in a net gain for the community. To resort to tautology, costs are costs, and while they can be shifted from one place to another, their creation through natural disasters and the like simply occasions expenditures that wouldn't have otherwise been necessary. "To resort to tautology, costs are costs, and while they can be shifted from one place to another, their creation through natural disasters and the like simply occasions expenditures that wouldn't have otherwise been necessary." Were it possible to extract something of positive value from thin air, or from, for example, the destruction of buildings, economic issues―which result from scarcity―would disappear altogether. Whenever the economy needed a new lease on life, we could go ahead and call in the demolition team, because after all, the builders will be ready to hit the ground running when the wrecking ball has done its part. The truth is that some people do stand to benefit in the wake of disasters that elicit huge government spending projects, but that benefit doesn't exist in a vacuum. Where the economic system is defined by the coercive interventions of the state, public works projects that follow natural disasters mean contracts for the state's favourites, at the cost of the working masses. The state and its courtiers, groups that can't actually be distinguished in practice, happily exploit tragedy to redirect wealth; they certainly enjoy a boost, but it isn't somehow free of charge. Working people pay the price, and the price is significantly higher than it would be in a society where the details of the rebuilding process were determined by the voluntary decisions of free people. In such a society, the new costs brought about by a given disaster would be born in proportion to the individual investments that had been made beforehand, not thrust upon workers who had no stake in the infrastructure to begin with. Market anarchists refuse to treat the state as a supernatural entity capable of acting outside of and against economic laws. Where the state expends wealth, it doesn't erase the costs that attend disasters. In fact, the inefficient and self-serving nature of the venal relationships created by power themselves foist further costs upon productive society. It was easy enough for the shop owner to see the illogic in the broken window fallacy. Japan's citizens shouldn't be taken in by the state's attempts to exploit their current disaster. Rather than allowing the state the chance to arrogate more power to its circle of plutocrats, the Japanese people ought to retain the skeptical instinct they feel when the state starts talking about "opportunities for growth."